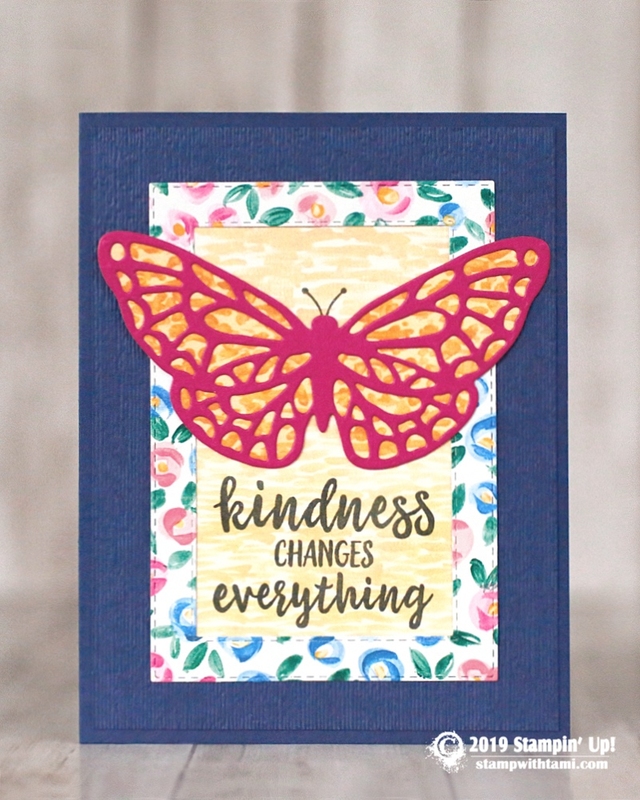 Kindness changes everything card from the Stampin’ Up! Abstract Impressions stamp set and Springtime Impressions dies bundle. The designer paper is the Garden Impressions collection. Cut with the new Rectangle Stitched Framelit Dies. The texture on the Night of Navy layer was created with the Subtle impressions folder.